Welcome to the virtual who’s who of Bergen County luxury real estate. Watch my stunning video of this palatial Bergen County home! Enjoy a compendium of the finest luxury real estate available to the most discerning buyers. You most likely have your own unique and exciting wish-list of location, structure and lifestyle features unlike anyone else’s! Are you an avid car collector? Is a heightened degree of home security or a safe room high on your list? Are you an aficionado of the grape or the leaf with ample space desired for your extensive (and growing!) wine or cigar collection? How about throwing gala events in vast entertainment spaces? Is your family lifestyle more active and you’d love a basketball or tennis court, luxurious pool, spa and gym…or an equestrian property? Is more acreage and seclusion important to you? Spectacular views? Proximity to Manhattan? How about all of the above or…? What’s your wish list of exceptional and exquisite must-have luxury real estate features for your dream home? Let’s connect and discuss your one-of-a-kind list. 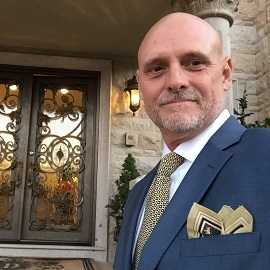 I’ll help match the best life has to offer in architecture, design and luxury real estate features with your impeccable taste and unique lifestyle. The way I operate will match your expectations – the utmost in integrity, confidentiality and discretion. If you know someone who would benefit from my many years of experience, please share this with them.